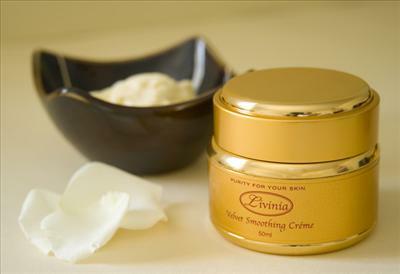 A luxurious, highly effective calming and hydrating crème that helps soothe skin, leaving it feeling smooth and fresh. Formulated with a replenishing blend of certified organic rosehip oil, certified organic jojoba oil, carrot oil, soothing extracts of licorice and marshmallow and a comforting blend of rose maroc, lavender and chamomile essential oils. Rich in antioxidants and vitamins, it provides immediate nourishment and hydration to the skin. Suitable for sensitive, dry, stressed and sun-damaged skin. Rosewater, purified water, emulsifying wax, apricot kernel oil, calendula infused oil, vegetable glycerine, jojoba oil (certified organic), rosehip oil (certified organic), carrot infused oil, calendula extract, licorice extract, marshmallow extract, green tea extract, pro vitamin B5, Vitamin E, citrus seed extract, rosemary antioxidant, essential oils of rose maroc absolute, lavender and german hamomile (certified organic).